One of the largest collections of self submitted, User generated content of its kind online. Fourteen years of continous updates, stories, news from actual drivers based on their own experiences. Car Accident Pictures: Car Crash Photos! 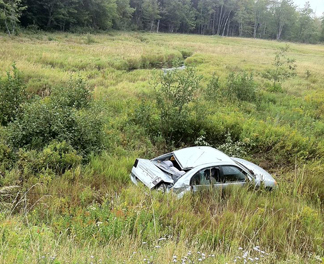 Explore our Crash site, we have Thousands of car wreck photos organized in different galleries. 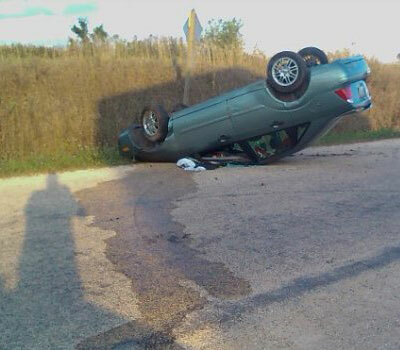 We invite you to submit your auto accident pictures as a reminder and a warning. People are welcome to remember and share their experiences through this site, unedited, uncensored: Real Stories from Real People. Car accidents injure millions every year and affect nearly everyone. We feature accidents all over the world. See the Thousands of real photos and stories in the pages below- submitted by You! Car Crash Accident Photo? Send them to Car-Accidents.com !!! Intro Video !!! New !!! Thousands of Car Crash Pictures!!!! Total Destruction. Survival. Here. Real Stories. Real People. 31 Accident stories and photos. 29 Accident stories and photos. Includes: Fatal Race Results in Flipped 3000GT, Ford Probe Head-on Collision. Includes: Porsche Head-on Collision, Thrill Hill "Airborn" Incident in Ford Thunderbird, Fatal Van Crash. See Accidents In each US State. Look at these galleries for specific makes! If you like our web site: Please Link to us!